Ever since the early days of SEO, content has been the most important factor of the game. It’s no question that providing content that fulfills search intent helps your site rank higher on different search engines. Today, let’s look at our top 3 quick tips to help you create SEO content that ranks well. Before you even start writing, be sure to brainstorm using a tree map with a core keyword in the middle and related keywords around that core topic. You can link keywords that are related to one another and develop content based on the strength of their relevancy. In this way, when the user is reading your content, there is a bigger chance that he/she will spend more time on your page, as you likely will now cover a greater topic area that fulfills his/her next query. User dwell time is a ranking signal to indicate that your content is relevant to the keywords. And from a search engine perspective, having more related keywords is another signal that your content is relevant to your core keyword. When relevant, it is beneficial to include outbound links to authoritative websites. This not only gives readers more information on your topic, but it also infuses confidence for readers and search engines alike on the authority of your content. Although this is not a direct ranking signal for search engines, positive correlation exists between sites that include outbound links to trustworthy websites. The underlying reason could be user interaction and dwell time. SEO Tip 3: Localize. Localize. Localize! Creating content that is highly related to your local audience is extremely important—this is an overly noisy world, and people have limited focusing power. Ten results on the SERP? People will quickly pick the one that they most relate to, especially in terms of localization. Try to add local elements to your titles and content, so that when people look at the SERPs, they will relate to and choose your post. Having local elements in the content also helps the audience quickly understand what you are trying to say. A local name, slang, or language are all very good examples of how you can add local elements to your blog post. Additionally, when search engines see a local name in your title, it is very possible that it knows your post is suitable for people in a specific area. We hope you enjoyed our top 3 quick tips for creating SEO content that ranks well. 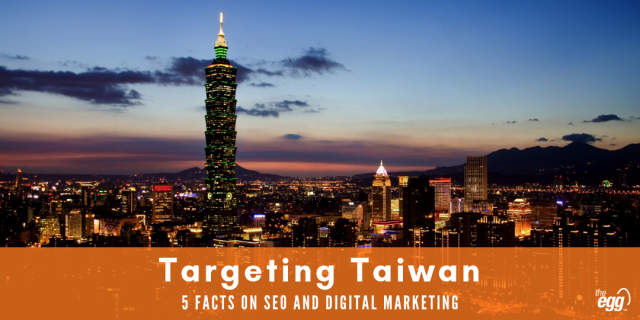 Do you need help with technical SEO to reach your target market in Asia?